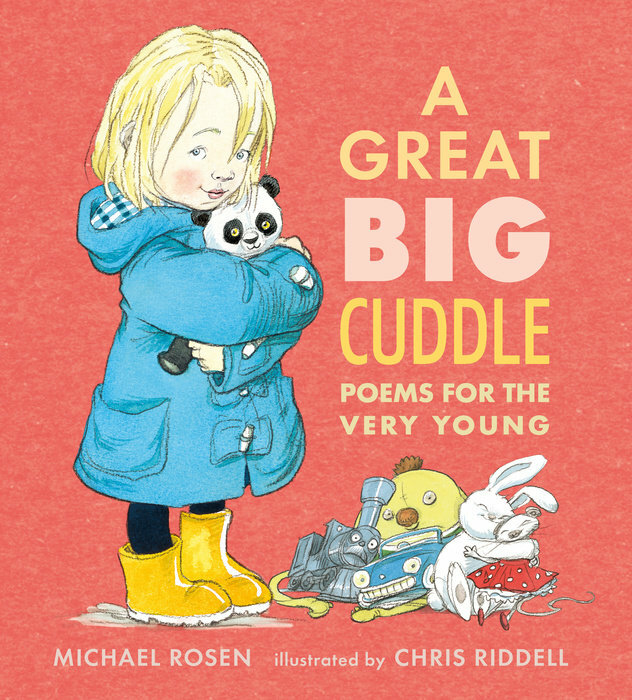 Curl up with a playful collection of poems from best-selling children’s author and poet Michael Rosen, perfect for sharing with young friends. In this exuberant compilation, Michael Rosen invites children to joyfully celebrate sounds and the infinite possibilities of language. Nonsense verses with the feel of classic nursery rhymes tickle the ear and set feet tapping while expressive illustrations by Chris Riddell illuminate the larger-than-life characters. With subject matter that runs the gamut of a child’s emotional range from hungry and angry to wiggly and giggly, these thirty-six clever poems will delight little listeners.